You probably found this article as you’re interested in learning more about how matched betting works and how you can make money online using this brilliant technique. Matched betting has been around for quite a few years, with more and more people turning to this proven, legitimate way to profit from the bookmakers. In this article we’ll look at the ins and outs of matched betting and show you the required steps to make a profit online. Before we dive in with how matched betting works, let’s first look at what matched betting is. As we’ve already mentioned, matched betting is a proven method that 1000s of people use to make money online. This method has been around since 2005 but has grown in popularity since the rise of the online betting industry. One more thing I’d like to clear up before we look at how matched betting works. Match betting is not a ‘get rich quick’ scheme. So many sites promise you can make millions overnight if you sign up to their dodgy platform. Matched betting is not one of these so called ‘systems’. You will not make millions from this method. You will be able to earn a great second income that will help you pay off debts or give you a greater disposable income. We offer our customers a free trial period with no strings attached. If for some reason, matched betting is not for you, no problem. Matched betting can be a challenging concept to grasp at first but with some time, patience and some expert help you’ll have the method nailed in no time. This article on how matched betting works should be a great place to start. 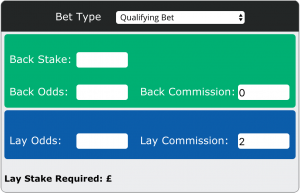 The main concept behind matched betting is back and lay betting. This method involves placing two bets, at similar odds, using different betting companies. Whatever the outcome of the game, one of these bets will win and one will lose. If the game’s a draw our lay bet wins. A lay bet is the same as betting an outcome will NOT happen. Betting exchanges have had a huge impact on the betting industry and they’ve made an enormous contribution to the growth in online betting. They offer the gambler far more flexibility and generally better odds than traditional bookmakers. Betfair founded the first betting exchange back in 1999. Since then, more and more companies have entered the market, realising the huge potential these platforms offer. A betting exchange is an online platform that matches gamblers with opposite predictions for an upcoming event. Punters can either place a back bet or a lay bet depending on their views. This allows gamblers to play the part of a traditional bookmaker if they wish. A betting exchange makes money by charging a commission on net winnings where as a traditional bookmaker makes money by offering less efficient odds, with their margins already built in. This allows betting exchanges to offer the true market price and therefore better odds. For more information on betting exchanges and advice on which ones are the best for matched betting, please read this article. Ladbrokes offer a £20 free bet if you bet £10. To unlock the £20 free bet in the example above, we first must place a £10 qualifying bet. There are also usually a number of terms and conditions that we must meet. For example there might be a minimum odds requirement to qualify for the free bet. This information can take time to find and is very important to matched betting success. Therefore, it’s a great idea to sign up to a site that assists you with the process. In almost all of our qualifying bets we’ll make a small loss. The amount we lose depends on the odds we get at both the bookie and the betting exchange. The aim is to find a market with back and lay odds as close together as possible. So, if the back odds for a market are 5.0 at the bookie, we’d want the lay odds at the exchange to be something like 5.2. You might be asking why the odds above are in decimal format. Well, this is because it’s much easier to use decimal odds in matched betting rather than fractional odds. It makes the process of comparing odds between the bookie and betting exchange much easier and more efficient. It’s very easy to alter the odds format in most online bookmakers, usually in the navigation bar or within your account settings. Betting exchanges already show the odds in decimals. To ensure this process is risk free, we need to calculate the correct stake to place at both the bookmaker and the betting exchange. Simply placing a £10 back bet and £10 lay bet will not work. So we use a special matched betting calculator to work out the exact stakes required. We simply enter a few key figures and the calculator works out the best lay stake to either minimise our losses from qualifying bets or maximise our profits from free bets. You can easily alter the bet type at the top of the calculator. The matched betting calculator can used by anyone looking to profit from matched betting. That’s it for our article on how matched betting works. I hope that it’s given you a better idea of how the process works and how you can make money online using this brilliant method. 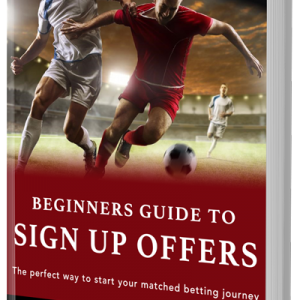 You can find out more information by heading to our complete guide to matched betting or visiting other relevant links. If you want to start making money straight away, head to our sign up page and we’ll see you on the inside. If you have any other questions don’t hesitate to get in touch with us.